Commune elections next month are set to offer an interesting test of the Cambodian People’s Party’s popularity. 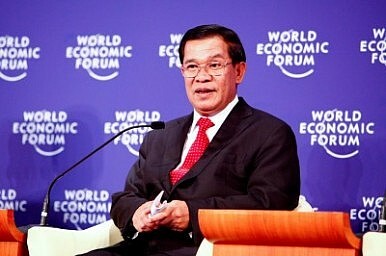 Cambodian Prime Minister Hun Sen and his Cambodian People’s Party (CPP) have been on election footing since the second half of 2011. The big test is still a year out, when national elections will mark 20 years since U.N. troops oversaw the first ballot that began this country’s transition to democracy. However, commune elections will be held on June 3, and will provide an important test for the CPP, which has trounced virtually all opposition ranks in recent years. There are about 1,620 communes across the country. Each represents a cluster of villages and the elections, held every five years, aren’t unlike council or local district polls in the West. The CPP will head into the poll as overwhelming favorite, but how the opposition Sam Rainsy Party (SRP), whose namesake leader lives in self-imposed exile following a conviction, fares will provide valuable insights into Hun Sen’s broader popularity. His government has been beset by angry protests over alleged land grabs, a yawning wealth gap coupled with rising prices for everyday goods and high handedness and corruption among government officials. This could translate into a loss of votes, particularly in Phnom Penh and provincial cities where Sam Rainsy has traditionally polled well. Further complicating the issues this year are the royalists, who have been a spent force at recent polls. Funcinpec had for years played a political game of cat and mouse with Hun Sen until its leader Prince Norodom Ranariddh, son of the King Father and half-brother of King Norodom Sihamoni, was banished by his own members for gross corruption and Funcinpec effectively split and fell apart. His banishment came after a court jailed him for 18 months in absentia after he quietly sold off Funcinpec party headquarters as if it was personal asset and then re-directed the fund to acquire a private property. Now, a deal has been struck aimed at ending the animosity between the two main royalist parties. This means the Norodom Ranariddh Party (NRP) will merge with Funcinpec to form a single party under the Funcinpec name. However, Funcinpec has a long and difficult road ahead if it’s to make any kind of return from the political oblivion. At the 2008 national poll, the NRP and Funcinpec won just two seats each in the National Assembly, while the SRP improved its standing to 26; the CPP holds 90 seats. Any gains could come at the expense of the SRP, but in Cambodia’s remote villages, which have remained loyal to Hun Sen ever since he ended the years of bloody conflict in 1998, Funcinpec are unlikely to score much success. As a result, Norodom Ranariddh should expect to remain where he has been for the last four years, in the political wilderness. The SRP will maintain its current standing while for the CPP it will be business as usual once the commune elections are done.